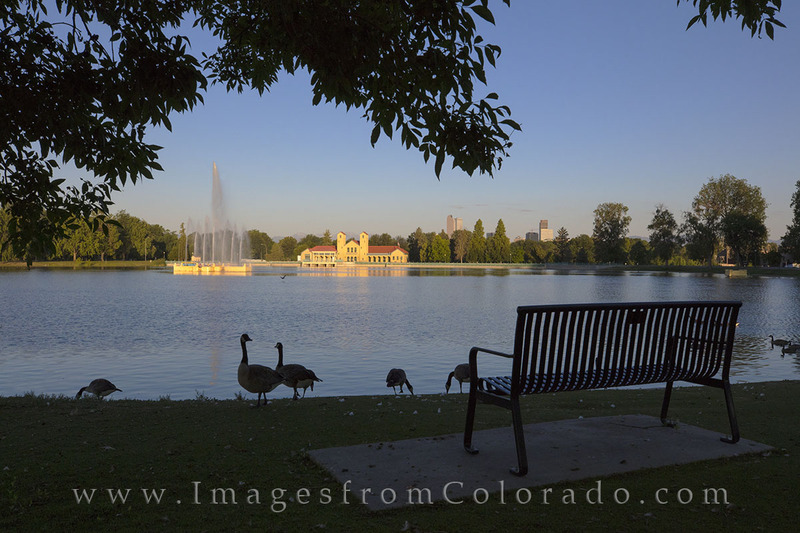 Canada geese gather at a park bench in City Park. In the distance is the Boathouse, and behind that is the Denver skyline peeking above the trees. Photo © copyright by Rob Greebon.